This stuffed koala is nibbling on a eucalyptus leaf and eager to be your friend. A hug from a Koala bear is one of the best animal hugs you can get. 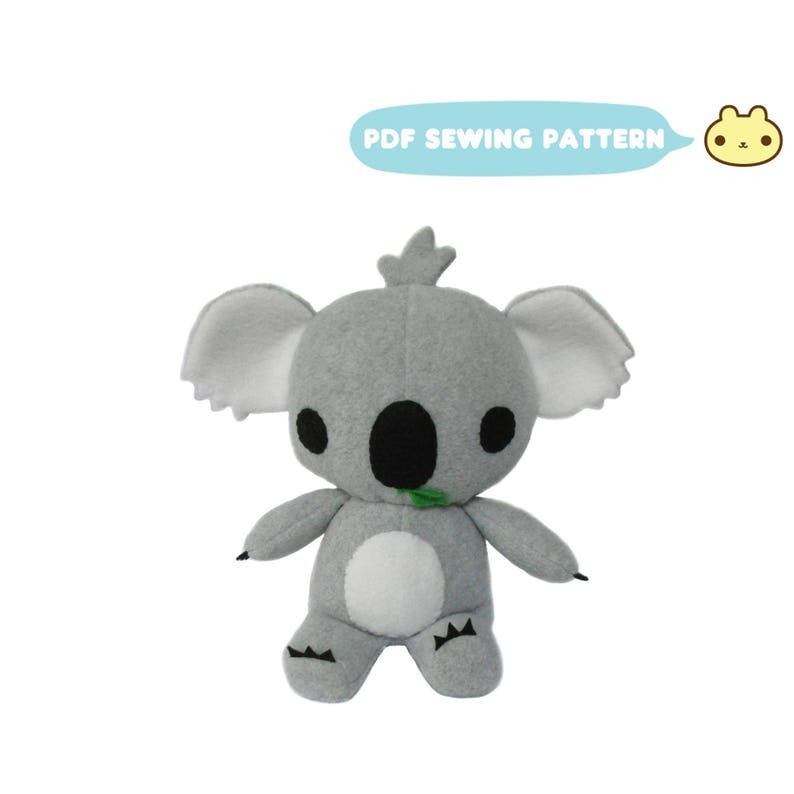 You can make your very own Koala and hug it all the time! Marsupials are great!